The Dixon Faucet Garbage Disposal Push Button is a convenient and attractive kitchen accessory that can be easily mounted to any sink or countertop - perfect for island installation. Enjoy quick and easy accessibility to garbage disposal functionality while complimenting the look of your kitchen decor. 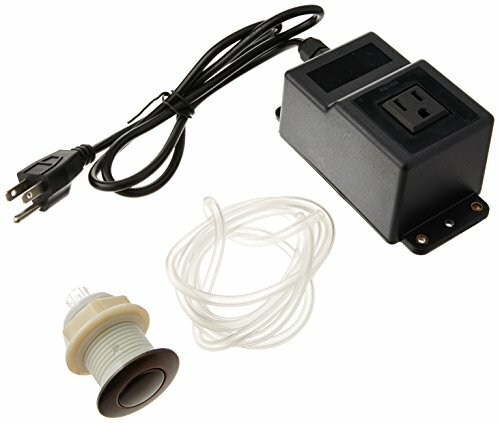 Easy On and Off button functionality affords easy operation and is a great alternative to a wall switch. Customizing the look of your kitchen is facilitated by easy interchangeability of the push button assembly, making matching the decor of your kitchen an easy and enjoyable process. Available in different colors to match your Kitchen Counter.